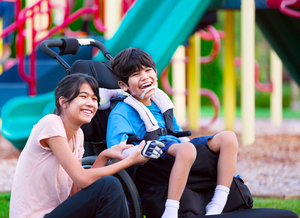 The Golden State Pooled Trust (GSPT) supports individuals with disabilities by preserving resources, protecting public benefits, and providing for supplemental needs that improve quality of life. The Golden State Pooled Trust (GSPT) is a type of special needs trust established by the North Bay Housing Coalition (NBHC) to support persons with disabilities in California. GSPT assists in preserving resources, protecting public benefits, and providing choices for individuals with disabilities in order to enhance their quality of life. GSPT is open to all persons with disabilities in California, regardless of disability type. In addition to pooled trust services, GSPT also provides support and advocacy through education for families, attorneys, and other service providers. Whether you are a family seeking a qualified attorney, an attorney seeking direction for your client, or a service provider looking for answers regarding special needs trusts, we are here to help you find answers. Be sure to check out our Attorney Resources for links to more videos.